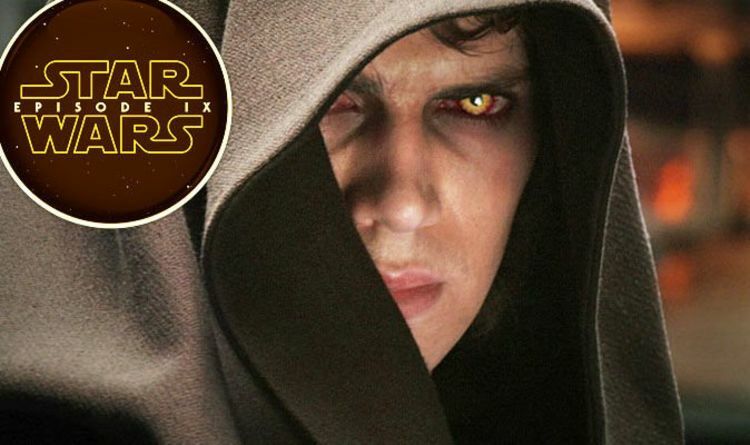 Celeb Gossip News – Star Wars 9 leak: 'Hayden Christensen BACK as Anakin Skywalker' Force ghost or flashback? Following his appearance at Star Wars Celebration 2017, fans were convinced Christensen was teeing up for an appearance in The Last Jedi. When the film hit cinemas, they were sorely disappointed, and many of them not just by his no show. JJ Abrams has declared his dedication to bring home as much Prequel and Original Trilogy material in Episode 9. Billy Dee Williams is already set to thrill fans with his Lando Calrissian return and now new rumours claim Christensen will also feature one last time in the Skywalker saga. There had already been reports of storyboard and artwork descriptions of some sort of Anakin/Darth Vader force ghost which was visualised for The Force Awakens. Abrams designed a powerful scene where the force ghost flickers between Anakin and Darth Vader, symbolising the tormented conflict inside Kylo Ren/Ben Solo. The scenes previously described feature Kylo Ren facing his grandfather, presumably for one last reality check before he is completely lost to the Dark Side. Two films later, considering he already killed his own father, it will be remarkable if the Star Wars filmmakers manage to redeem him in the eyes of fans. It goes without saying these are just leaks at this stage. Until any kind of footage is released, it is impossible to know what will finally make it into the finished cut. Even some teaser and trailer shots increasingly are only used for the promotional stages but not the final big screen version. Christensen could also just be adding some voice work. One thing is sure, despite dividing many with his performance in the Prequel Trilogy, fans appear to have universally welcomed Christensen back into the fold. Much of his divisive performance can also be attributed to the convoluted plotting and poor dialogue. After the unexpected backlash to The Last Jedi, fans on both sides are united in a desire to see classic characters and storylines honoured as the entire nine-film cycle comes to a close. Anakin is the original Skywalker. It would be a tragedy if he does not make a final appearance. The clocking is ticking, however. Principal photography is expected to wrap in February, although there will also still be time for the actor to come in during reshoots and pickups over the following months.